3 (GE) Corps was the left (northernmost) corps in CENTAG, located between NORTHAG’s right-flank corps (1 (BE) Corps) and 5 (US) Corps. It consisted of two panzer divisions and one panzer grenadier division – a total of nine brigades. 5 (US) Corps, immediately south of 3 (GE) Corps, was composed of 3 Armoured Division and 8 Mechanized Infantry Division, together with the 11th Armoured Cavalry Regiment, whose specific task lay in the Fulda Gap. 7 (US) Corps deployed to the right of 5 (US) Corps and was composed of one armoured and one mechanized infantry division (of which one brigade was in the FRG, the remainder in the USA), plus an armoured cavalry regiment. 2 (GE) Corps was in the far south, facing the Czechoslovak border and essentially defending the hilly country of Bavaria, although it inevitably also had to look over its right shoulder at the Austrian border, in case the Warsaw Pact failed to respect that country’s neutrality. 2 (GE) Corps was large, and its composition reflected the complexity of its role: four divisions – one panzer, one panzer grenadier, one mountain and one airborne – giving a total of twelve brigades. Since it was NATO policy that each nation was responsible for its own logistic support, each corps, plus 2 (US) Armoured Division in NORTHAG, had its own rear area, in which its logistic units were located. These required both control and protection, not least because the Warsaw Pact was known to give priority to attacking such facilities. Security of these rear areas was therefore of considerable concern to the corps commanders, although nations allocated differing priorities to the task. Responsibility for the NATO Rear Combat Zone lay with the Bundeswehr’s Northern Territorial Command for NORTHAG and the Southern Territorial Command for CENTAG. These territorial commands were subdivided into a series of geographical areas, but they also included ten home-defence brigades, which were equipped with older types of tanks and artillery. There were also fifteen home-defence regiments, each with three motorized battalions, which had mainly security tasks. A particular and sometimes controversial element of the Central Region’s ground forces was the paratroop units. Such units had been formed and used for the first time in the Second World War, and in all armies they immediately became a corps d’élite: they developed an extremely aggressive mode of fighting, and their special selection processes were coupled with very high standards of training and fitness. They also developed, not unintentionally, a mystique about their operations, which endured throughout the Cold War. While the high reputation resulting from their performance in combat was fully deserved, other factors gradually came to the fore. Their capital costs were high, since they required a large, specially equipped air fleet to take them into battle, and they needed a great deal of specially designed lightweight equipment. Their operating costs were also high, as they required frequent exercises to maintain their standards, particularly in parachuting. On top of all these, one of the lessons of the Second World War was that parachute operations tended to be costly in lives, since, virtually by definition, units were placed in positions of great danger and this, coupled with their aggressive tactics, resulted in unusually high casualty rates. The largest and most capable of NATO’s airborne forces was 82 (US) Airborne Division, whose main combat element was three airborne brigades, each of three parachute battalions. There were also three artillery battalions, a divisional anti-tank battalion and an aviation battalion. 82 Airborne Division was based at Fort Bragg in North Carolina, where one battalion was always at eighteen hours’ notice to deploy, with one company at two hours’ notice and the remainder of the brigade at twenty-four hours’ notice. Some equipment was specially developed for the airborne role, such as the Sheridan light tank, but 82 Airborne Division had nothing like the range of specialist weapons and equipment developed for Soviet airborne forces. Its anti-tank defences, for example, depended upon the TOW crew-served system, and the Dragon and LAW (light anti-tank weapon), while air-defence weapons were Vulcans and Stingers, all of which were standard army weapons. On the other hand, the division’s air-transport assets were unrivalled. In the 1980s USAF air-transport assets comprised 97 Lockheed C-5 Galaxies, 250 Lockheed C-141 Starlifters and 544 Lockheed C-130 Hercules. Not all of these would have been allocated to lifting 82 Airborne Division, but there was sufficient to deploy a brigade very rapidly, with the remainder of the division following close behind. Indeed, the C-141s regularly demonstrated their ability to take off from the USA with a full load of paratroops, fly across the Atlantic, and then drop them straight on to a tactical drop zone in West Germany. Once committed to such an operation the troops would have been able to sustain themselves for three days, but would have then needed air resupply. Most other NATO armies maintained a parachuting capability: the Germans and French both operated a complete division of three brigades, while Belgium, Canada, Greece, Italy, Portugal, Spain, Turkey and the UK each maintained between one and three battalions. All these forces had peacetime commitments to national defence, particularly in rapid-reaction operations, and not all the battalions were necessarily in the parachuting role at all times, but all were capable of parachute operations and would have been available to NATO in war. The French airborne forces included the most experienced paratroop units in any army, most of the units having fought in Indo-China from 1949 to 1954 and in Algeria from 1955 to 1962. Thereafter they moved to France, but continued to take part in numerous operations, particularly in Africa. From the 1970s onwards 11 (FR) Parachute Division comprised two brigades of three battalions each, with a seventh battalion under divisional control in a ‘special forces’ role. 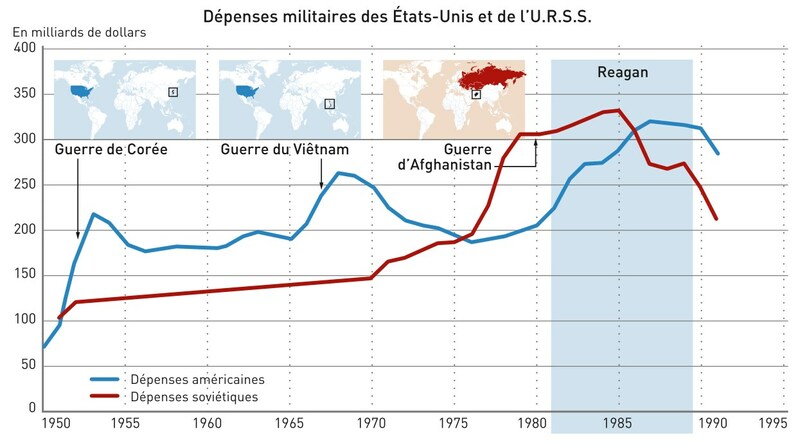 They were capable of ‘rapid deployment’ in Africa and Asia, but in a general war would have fought in Europe, albeit under French rather than NATO command. Like most other airborne units, however, their deployment ability would have been limited by the availability of suitable aircraft. The British had built up a sizeable parachute force during the Second World War, eventually fielding two divisions, but one division was cut immediately the war ended. The force was further reduced to two brigades in 1947–8, the 16th (BR) Parachute Brigade being all-regular (three battalions) and the 44th Parachute Brigade being found by the Territorial Army (six battalions). The parachute force continued to exist up to the end of the Cold War and frequently took part in limited war and peacekeeping operations, including Northern Ireland and the 1982 Falklands War. By 1990 three regular and two Territorial Army battalions remained, but limitations of equipment, particularly in the number of transport aircraft, meant that in general war not more than one battalion-group operation could have been undertaken at a time. The provision of air transport for parachute operations was almost always a problem; the Belgians, for example, frequently looked to the US to provide suitable transport aircraft. In a war on the Central Front, air operations by large and slow transport aircraft, flying at low level, would have been especially hazardous both on the original fly-in and in subsequent resupply operations, unless major efforts were devoted to the suppression of enemy air defences. 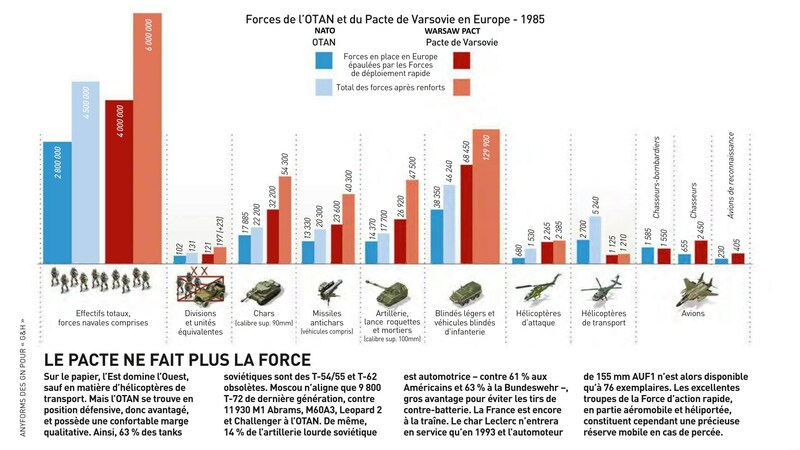 Thus, even though most NATO paratroops units would have been declared to SACEUR in a war in Europe, there was a lack of clarity over just how they might have been used. Indeed, the occasions on which a battalion-sized or larger force might have been used in the airborne role in a battle in the Central Region remain difficult to identify. NATO’s defences depended upon a complicated series of preparations for war, ranging from essentially covert tasks, such as the activation of war headquarters and communications systems, to overt measures such as the deployment of troops, aircraft and ships to their war locations, culminating finally in the commencement of hostilities. The Alliance would, therefore have had to persuade fifteen member nations (sixteen, once Spain had joined) not only to transfer assigned units to NATO operational command, but also to mobilize the reserves necessary in all countries to bring front-line units up to full wartime strength. The former could have been done with little public knowledge, but the latter would have been only too obvious. All national armies depended to a significant degree on the mobilization of reservists to bring both combat and logistic units up to wartime strengths. This mobilization process was a national responsibility, with marked differences between nations, resulting mainly from different traditions and legal systems. For all, however, it was an extremely complex operation. To take just one European member as an example, in the 1980s the four-division-strong 1 (BR) Corps required substantial reinforcements to bring it up to war strength. First, there were four infantry brigades in the UK which had to be sent to Germany: 19th Infantry Brigade, which reinforced the Germany-based 3 Armoured Division, and the three brigades of 2 Infantry Division (two of them from the Territorial Army) which were responsible for rear-area security. Second, there were also the headquarters and support units of 2 Infantry Division, as well as two signals brigades to provide the rear-area communications systems and an engineer brigade for airfield repair. In addition to these, 1 (BR) Corps needed a vast number of individual reservists (former regulars with a reserve liability) to bring the regular units up to strength and to serve as battle-casualty replacements. It should be noted that the UK would concurrently have been mobilizing other elements of its wartime forces. Most important of these was the United Kingdom Mobile Force, consisting of 1st (UK) Infantry Brigade, air-force elements and a large logistic ‘tail’, all of which was entirely UK-based. This required many reservists and Territorial Army troops to bring it to its war establishment before it moved to its most likely destination, Denmark. Mobilization was also required for the forces committed to tasks within the UK, principally for ‘home defence’ (i.e. the security of the UK base). The numbers available to meet these requirements varied over the years, but in 1987 the UK had some 160,000 reservists, while the Territorial Army comprised some 85,000 men and women, most of whom were in formed units. The procedures involved in the mobilization and reinforcement of 1 (BR) Corps were given two full-scale rehearsals, the first in Exercise Crusader in 1980, the second in Exercise Lionheart in 1984. These involved moving some 15,000 troops in forty ships, and a further 15,000 by air (5,000 in air-force aircraft, 10,000 in civil aircraft); forty-nine trains were needed, as well as some 15,000 vehicles. All this involved a vast amount of road movement and large numbers of troops passing through civil and military airports, harbours and railway stations. In a time of international tension, the calling-up of the individuals, the mobilization of the Territorial Army (both of which required parliamentary authority), and moving them all (plus, in the case of formed units, their vehicles and equipment) to Germany and Denmark would have been an even more massive operation, and could never have been hidden from the British public, the media or the Warsaw Pact. There were numerous choke points which would have been vulnerable to hostile action, either from direct attack by Warsaw Pact forces or from sabotage and other interference by Warsaw Pact agents or anti-war protestors. Such vulnerable points included a relatively small number of ports and airports in south-east England, and in Germany and the Low Countries. Crossing the Channel was a problem which did not affect other European countries, but their mobilization would have been as massive in scale and equally impossible to hide. The German Bundesheer, for example, required to mobilize approximately 1 million reservists for the regular army and a further 450,000 for the territorial army, all within the space of ninety-six hours. The United States not only had a far wider water gap to cross, but was also committed to transporting much greater numbers to reinforce both the Central Front and the northern and southern flanks. This commitment included six divisions (some 90,000 troops), most of whom would have flown to Germany, where they would have picked up pre-positioned weapons and equipment (POMCUS), and approximately sixty air squadrons, for which the aircraft would have self-deployed, with the manpower moving by air transport. All these were scheduled to arrive over a ten-day period, with regular units arriving first, followed by army and air-force reserve units, then the Air National Guard and finally the National Guard (army). Also moving to Europe, but in this case by sea, would have been three Marine Amphibious Brigades. The US mobilization system was based on flexibility. The president had the authority to mobilize up to 200,000 reservists for a maximum of ninety days (as was done in the 1961 Berlin crisis), or, if he declared a state of national emergency, up to 1 million reservists for twenty-four months. Congress could then have confirmed the national emergency and authorized the calling-up of all reserves. All reservists were obliged to report to their mobilization centres within forty-eight hours of receiving notification, but the majority would have needed some form of training before their onward move to Europe. It was also planned that the draft would have been restarted to generate trained men after a gap of several months, although this would inevitably have caused short-term dislocation and required a number of trained and experienced officers and NCOs to set it in motion. The National Guard and Air National Guard would also have been mobilized and deployed as formed units, and it was estimated that all National Guard divisions scheduled to move to Europe would have arrived in less than thirty days after the mobilization order had been issued. The massive planned move to Europe would have required a large force of aircraft and ships, for which an ‘Airlift Emergency’ would have been called. This would have enabled 171 commercial aircraft to have been available within twenty-four hours and a further 268 within forty-eight hours. The problem with the ships earmarked to transport heavy equipment was that they could have taken anything up to four weeks to reach the embarkation ports, and in most cases would also have needed to offload, before they could take on the Department of Defense passengers or cargoes. US mobilization and deployment plans were regularly practised in a series of exercises: air exercises were designated ‘Reforger’ (Reinforce Germany), while sea exercises were designated ‘Ocean Safari’. The situation within Germany and the Low Countries would have been without precedent. First, mobilization within those countries would have been taking place on a massive scale, with some 2 million men and women travelling to their reporting depots. Second, 60,000 British and some 300,000 US troops would have been moving into Germany, landing at a variety of service and civil airfields and ports. In the Low Countries four British infantry brigades (plus signals brigades and an engineer brigade), with virtually all their equipment and vehicles, would have been disembarking to follow the Belgian and Dutch brigades en route to their wartime positions in Germany. Within West Germany these new arrivals would have joined hundreds of thousands of troops resident in the country (and their vehicles, tanks and guns) as they too deployed to their wartime positions. There would also, without a doubt, have been a serious problem with refugees fleeing in a westerly direction, which could well have caused serious delays to the reinforcement forces endeavouring to move eastward and could also have interfered with plans to demolish bridges. The problem was (and remains) completely unquantifiable, but it seems reasonable to assume that it would have been on a massive scale. The most immediate fear of the civil population would have been of becoming involved in the fighting, especially as they would have assumed that nuclear and possibly chemical weapons would be used. On top of that, however, would have been German folk memories of the atrocities committed by Soviet troops following their conquest of eastern Germany in 1945. The only possible precedents were the flow of refugees during the 1940 German invasion of France and the Low Countries, and the 1944–5 flight of ethnic Germans in front of the Soviet advance into Germany. The refugees of those days were, however, virtually all on foot (or, in the case of a proportion of the Germans along the Baltic coast, travelled by sea), while those in any war in Europe in the 1980s would have been predominantly in vehicles – at least until they had exhausted the fuel stocks along their routes. Control of refugees was a national responsibility, which, as far as the Central Front was concerned, meant Belgium, the FRG and the Netherlands, but whether these countries would have been able to cope and to keep the routes clear for troops moving in the opposite direction is a matter for conjecture. There was also a NATO Refugee Agency, whose task was to provide a consultation forum and to co-ordinate actions in war, but it was certainly not an executive agency and could, at best, only have provided cross-border co-ordination. Although NATO laid down guidelines, logistical support was a national responsibility, one major consequence of which was that national lines of communication (LOC) stretched rearwards from the operational corps to the home country. For the Danes, the West Germans and the French this presented few problems, but for the others it was a major headache. The Belgian and Dutch LOC were several hundred kilometres long, but at least they were all overland, whereas the British not only had much greater distances to cover, but also had to cross the English Channel from ports in south-east England to ports on the Belgian, Dutch and German coast. Worst of all was the position of the United States. Not only had it to cross the Atlantic, but also, following the expulsion of NATO facilities from France, its maritime LOC terminated in ports on the German and Dutch North Sea coast (principally Bremerhaven) and thereafter its supplies had to be transported by road and rail down the length of Germany – along routes which ran parallel to the IGB and within easy reach of any Warsaw Pact thrust. There were many logistical problems, but one merits mention: that of war stocks, and in particular of ammunition. The level of war stocks was not as glamorous and vote-catching a subject as the number or quality of tanks or artillery pieces, but in the event of an actual attack those weapons would have become useless without an adequate and timely supply of ammunition. Throughout the Cold War, artillery, tanks and small arms became capable of ever higher rates of fire. 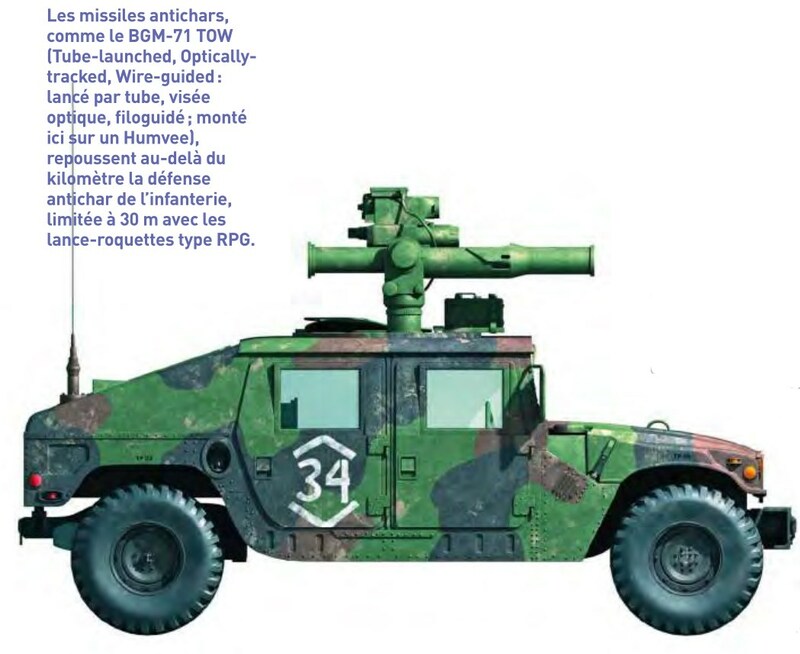 Indeed, the appetite of weapons such as the Multiple Rocket-Launcher System was so voracious that the cost and capacity of the resupply system became a major constraint in both their purchase and their use. The difficulty for NATO was that, with higher than expected ammunition expenditure, forward munitions depots would quickly have been stripped bare and national stocks would have been depleted to replenish them. But, owing to ever-reducing peacetime orders, many munitions factories had been closed and their plant sold off, and those that remained would have taken time to crank up production to meet the short-term requirements. Indeed, even if they had succeeded in doing so, their output could well then have choked the resupply system. One solution adopted in the 1980s was a programme to build ammunition depots. These would have eased transportation problems in war, but, since they were difficult to disguise, they were vulnerable to sabotage and to air attack. A further difficulty was that, in order to be of any value, such depots needed to be relatively close to the projected deployment areas, which meant that in a surprise Warsaw Pact attack they might well have been overrun before the forward troops had deployed in sufficient strength to protect them. As the Cold War progressed, it became clear that many formations and units in the Central Region were badly deployed in peacetime. In overall terms, the southern part of the FRG was hilly and heavily wooded, making it better country for defence than the north, which was much more open, less heavily wooded and in most places ‘good tank country’. Thus, in an ideal world, the US and West German forces, with their mass of armour and long-range anti-tank systems, should have been in the north. This would also have eased the US logistics problem. It would, however, have meant that the Belgians, British and Dutch, with further German support, would have been in the south. Not only would that have run in the face of history, but the exchange would have been extremely costly. In addition, the Belgians, the Dutch and in particular the British would have incurred severe logistic penalties, which they were much less able than the US to cope with. Even within each nation’s forces, however, there were serious examples of bad deployment, where units required to deploy very rapidly to the front line in a crisis were located several hundred kilometres away in peacetime. This applied not only on a national scale, e.g. with the distance between Belgian and Dutch peacetime barracks in their home country and their deployment positions near the IGB, but also within national deployments in the FRG. Such problems were examined from time to time, but, though there were a few minor adjustments, a major reshuffle was always prevented by the huge costs that would be involved. Thus maldeployment simply came to be accepted as a fact of life. It is clear that, in the ‘worst-case’ scenario of a sudden and unexpected Warsaw Pact attack, Central Region forces would have required substantial augmentation to bring them up to combat strength. In the first place, even the forward units in some armies would have needed individual reinforcements, which would have been found either by redeployment of regular soldiers (e.g. by closing down the training organization) or from reservists. The increasing practice of locating major elements of the forward divisions and brigades in their home countries meant that, even if they were regular, they would take some time to arrive and would require valuable and scarce movement facilities, while reserve units would take even longer, having to mobilize and possibly also needing to carry out some training before deploying. Despite all these difficulties, the NATO ground forces appeared impressive to the Soviets and they never once faced a major challenge.